Who is attending Nelson Mandela memorial service? Home World Africa news Who is attending Nelson Mandela memorial service? Nelson Mandela memorial service is one of the largest gatherings of its kind in generations. 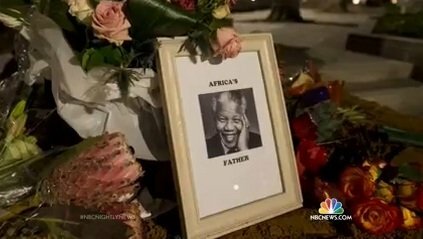 Tens of thousands of mourners and almost 100 foreign leaders attended the event at the FNB stadium in Johannesburg. – UN Secretary General Ban Ki-moon and his predecessor Kofi Annan.